Recently, I've been shopping like crazy, which has resulted in an abundance of items that I have fallen in love with! Over the course of the last month, I've purchased so many things that I think are perfect for spring and summer, so I'm so excited to share my May Favorites with y'all. My March Favorites post was quite popular, so I thought I'd start sharing my favorites every month. Enjoy! Lately, I've been using my FitBit Charge HR nonstop! I find it so helpful for everyday use, and I love getting in serious competitions with my friends. Of course, I ordered a monogram from Peach Tree Monograms to put on it (use the code LIVETHEPREPLIFE20 for a discount of 20% off of your purchase of $4 or more). Would you really expect anything less of me? My grandparents came to visit a couple weeks ago and surprised me with this gorgeous James Avery necklace! I prefer small, dainty necklaces over big statement ones, so this simple cross has become an everyday staple for me. From far away, it looks like a plain cross, but up close you can see that it's made up of little daisies. James Avery is one of my favorite brands, and this necklace does not disappoint! The other day, I was searching on eBay when I came across these gorgeous Lilly Pulitzer shorts for almost half the price of what they would be if I were to buy them in store! They're in the print Splish Splash, and while it may be an older print, it's new to me and is one of my favorites. I linked another pair that was recently listed, but you can always check back soon for different sizes or prices. Expect to see these shorts all over Instagram, because one word: OBSESSED. Okay, now I have another pair of shorts for you. You'll see these shorts and the aforementioned Lilly Pulitzer shorts in outfit posts soon, but I had to give you a sneak peek of both. My grandparents took a trip up to Arkansas recently, and they stopped at the Lauren James store in Fayettville since they knew that it's one of my favorite brands. When they came back from Arkansas, they brought me these gorgeous seersucker athletic shorts! I'm so excited to wear these for summer and pair them with my Converse and a cute t-shirt. I'm not really a huge makeup person, but this Tarte mascara has been my go-to lately. I've always been a Tarte fan, and the majority of my makeup is from there, but I haven't worn their mascara in a couple of years and I'd forgotten how much I love it. They also have a waterproof version that is perfect for days by the pool! In the middle of April, a friend got me this monogram baseball cap from Marley Lilly, and it has become a summer essential for me. I sunburn really easily on my face, so this hat is perfect for shielding the sun from my face. Plus, I think coral is such a cute color and looks so cute with a lot of other colors. Expect to see this cap and others in a post soon! 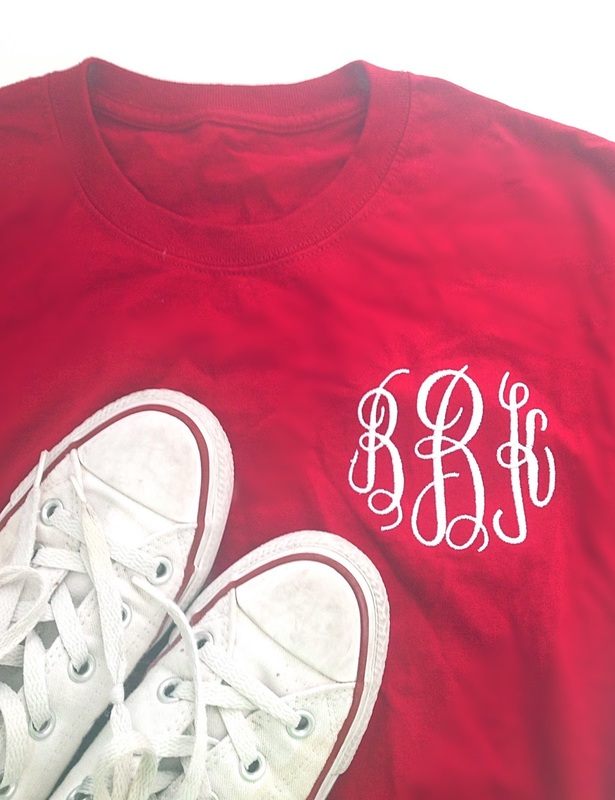 Lastly, a couple weeks ago, Amy from Amy Grace Monograms sent me this adorable monogram t-shirt! I wore it over memorial day weekend, and I love it! 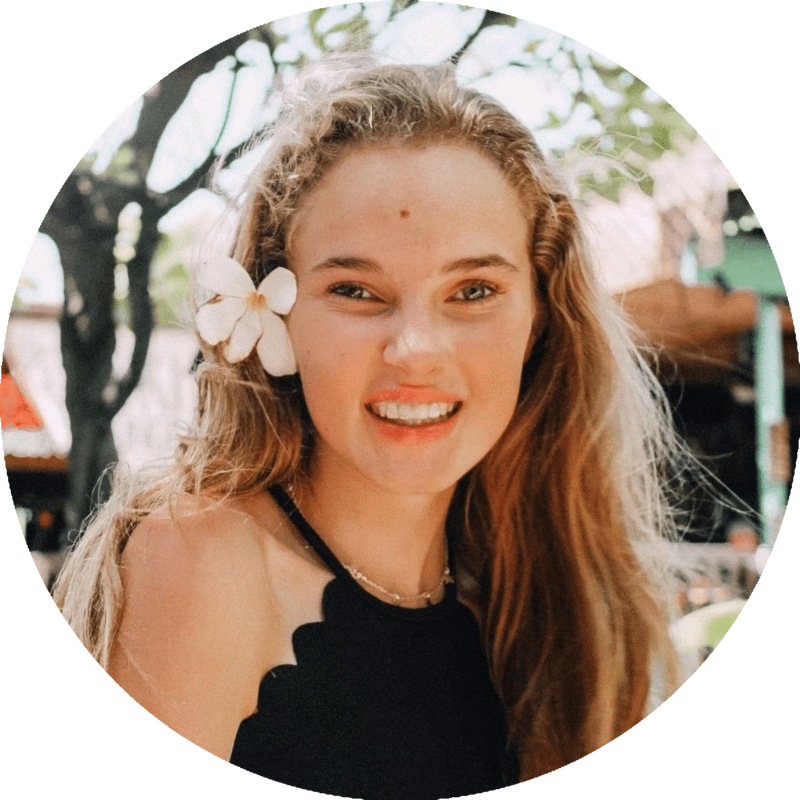 She is so sweet and you should definitely go check out her shop - she's actually having a sale right now where you can get 10% off of your order of $25 or more if you use the code SUMMERMONOGRAM. It ends on June 8th, so hurry! I hope you enjoyed seeing what my favorite items were during last month! It's so hard to believe that it's already June, but I say that every month so maybe I just have an issue with time. 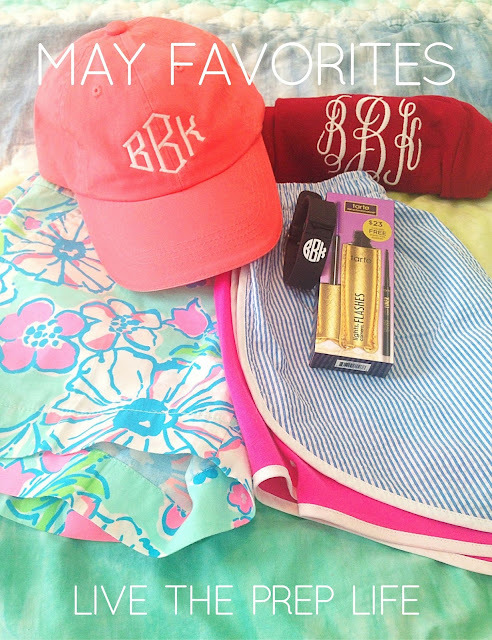 Regardless, I have a lot of fun summer posts coming up, and I can't wait to feature some of these items again! What products or clothing items did you love over the month of May? Oh my goodness. I love that you got your FitBit monogrammed.